The private company Nassau County is negotiating with to take over as the jail’s medical provider is the target of more than two dozen federal lawsuits across the country connected to inmate deaths, a review of a court records database showed. The records include more than 145 federal lawsuits pending against Tennessee-based Correct Care Solutions that involve allegations of negligent inmate health care. Litigation involving the for-profit company has raised concerns among some local officials who say the vendor could perpetuate what critics have called a culture at Nassau’s jail of skimping on inmate medical care to save money. 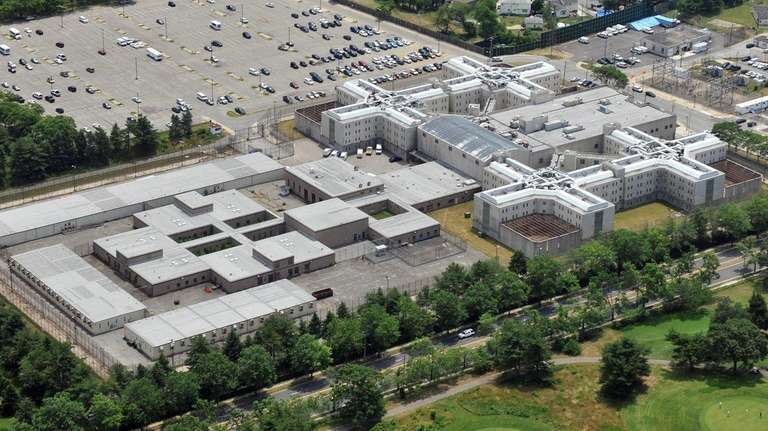 The East Meadow facility’s current medical provider, Armor Correctional Health Services, didn’t try to win the upcoming new contract after a tenure marked by a series of inmate deaths. The state Commission of Correction has found the for-profit company provided inadequate treatment in five Nassau jail custody fatalities since mid-2011. Armor, which has defended its performance, last year settled a lawsuit that state Attorney General Eric T. Schneiderman brought over allegations of poor care by agreeing to a three-year ban in New York. The company also paid a $350,000 fine and admitted no wrongdoing. The county and Armor, which has earned about $11 million annually for its contract, also are battling four federal lawsuits from families of inmates who died in custody. “It seems like setting ourselves up to hire a company that could be as bad or worse than Armor,” he said. CCS spokesman Jim Cheney said in a statement the company would decline to comment since it doesn’t have a Nassau contract and won’t discuss active litigation. A group of inmate advocates appeared at a December legislature meeting to oppose any CCS contract. Nassau County Executive Edward Mangano’s administration began negotiating with CCS in the fall after selecting its bidfrom three contenders. Legislators on the GOP-controlled rules committee along with the Nassau Interim Finance Authority would have to approve a contract. A Mangano spokesman said in early January negotiations with CCS were continuing. The offices of Mangano and Sheriff Michael Sposato, who runs the jail, didn’t respond to recent requests for comment about negotiations or CCS litigation. A spokesman for the legislature’s Presiding Officer Norma Gonsalves (R-East Meadow) said the legislature’s GOP members wouldn’t comment on CCS unless the administration presents them with a contract. Court records show federal lawsuits involving inmate death-related claims in 15 states where CCS does business: New York, New Jersey and Pennsylvania, along with Michigan, Illinois, Indiana, Maryland, Virginia, Louisiana, Kentucky, Arkansas, Texas, Nevada, Colorado and California. A third of the cases involve inmates who committed suicide after allegedly not getting proper psychiatric treatment. Among them are lawsuits involving the 2013 Michigan jail hanging of an Army veteran suffering from post-traumatic stress disorder and drug addiction, and a 12-year-old who killed himself in an Illinois juvenile detention center. Another pattern in the lawsuits involves inmates who died after allegedly not getting proper care for medical conditions including seizures, diabetes, a ruptured organ or drug withdrawal. In Colorado, a 24-year-old inmate with the IQ of a child died in 2014 after officials allegedly took away a medical device he wore that was meant to stave off seizures. In cases in Colorado and Michigan, inmates died of sepsis in their cells after allegedly not getting treatment to fight infections. Two of the lawsuits involve New York jail custody deaths, one in Westchester County where CCS has had a contract since 2010, and the other in Monroe County, where CCS has been since 2015. The Westchester claim alleges wrongful death and medical malpractice in the 2013 fatality of inmate Rashad McNulty, 36, who had been awaiting sentencing in a federal drug case. The state Commission of Correction found CCS misdiagnosed McNulty as having indigestion, didn’t give him emergency care for chest pains, and “abandoned” him in his cell. It concluded the death of McNulty, who was found in cardiac arrest in his cell, “may have been prevented” if CCS had provided appropriate emergency care and sent him to a hospital in a timely manner. A CCS nurse sent McNulty to his cell less than an hour before his final collapse after saying she wouldn’t “be fooled” when he was able to get up after being found facedown and revived with smelling salts, the jail oversight agency found. Case plaintiff Erica Melvin, 34, of Yonkers, said in an interview she believes her late fiance would have been out of prison by now and helping raise their daughter, Naila McNulty, 9, if he’d gotten better care. “I think that once the facts come out, it will be clear as to how dangerous this company can be,” said her attorney, Jared Rice of New Rochelle. In the Monroe County case, Pedro Sanchez Jr.’s family sued CCS and county officials in December over his 2015 custody death. The suit alleges Sanchez, 39, suffered a ruptured spleen and internal bleeding after an assault by other jail inmates, but only was treated for shoulder pain at a hospital. It alleges CCS repeatedly ignored Sanchez’s symptoms before finding him unresponsive in his cell 27 hours after the assault, when surgery couldn’t save him. The daughter of an inmate in Colorado who died of a 2014 medication overdose says her father wasn’t hospitalized even after a jail surveillance camera taped him swallowing dozens of pills. Tanya Smith, 31, has alleged her father, Barton Grubbs, 52, also told jail and CCS personnel during a suicide evaluation that he had downed around 70 Valium pills. Her lawsuit says the overdose happened after authorities let Grubbs, a brick mason, keep medication in a pocket and removed his handcuffs during a drunken-driving arrest booking. It alleges correction and CCS officials discussed looking at the video to check his story but never did. Hours later, Grubbs was brain dead in his Weld County jail cell, the lawsuit says. Her lawsuit also claims Grubbs wasn’t sent to a hospital because three other inmates already had gone that night, what her lawyer, Todd Bovo, recently called a “quota” system to save money. In a Michigan-based lawsuit that attracted national headlines, the brother of a late Macomb County jail inmate says medical and correction officials let his sibling die in 2014 by not treating him for drug withdrawal while he was behind bars for not paying a traffic fine. It alleges inmate David Stojcevski, 32, lost 50 pounds in 16 days while experiencing an “excruciating” withdrawal from anti-anxiety medications. Plaintiff’s attorney Robert Ihrie said Stojcevski was under video surveillance in his cell for the last 10 days of his life, and the recording shows his deterioration. “It’s a spiral, a 10-day spiral down to death,” Ihrie said. Newsday’s research staff contributed to this report.